Dr Aris Poulianos, member of the UNESCO Anthropological Institute, later founder of the Greek Anthropological Society, and an expert anthropologist who was working at the University of Moscow at the time, was invited by the Prime Minister of Greece to return to Greece to take a position of a University Chair in Athens. This was due to the publication of his book, ‘The Origins of the Greeks’, which provides excellent research showing that Greek people didn’t originate from the Slavic nations but were indigenous to Greece. Upon his return to Greece, Dr Poulianos was made aware of the discovery of the skull at Petralona, and immediately started studying the Petralona cave and skull. The ‘Petralona man’, or Archanthropus of Petralona, as it has since been called, was found to be 700,000 years old, making it the oldest human fossil ever discovered in Europe. Dr Poulianos’ research showed that the Petralona man evolved separately in Europe and was not an ancestor of a species that came out of Africa. In 1964, independent German researchers, Breitinger and Sickenberg, tried to dismiss Dr Poulianos’ findings, arguing that the skull was only 50,000 years old and was indeed an ancestor that came from Africa. However, research published in the US in 1971 in the prestigious Archaeology magazine, backed up the findings that the skull was indeed 700,000 years old. This was based on an analysis of the cave’s stratigraphy and the sediment in which the skull was embedded within. 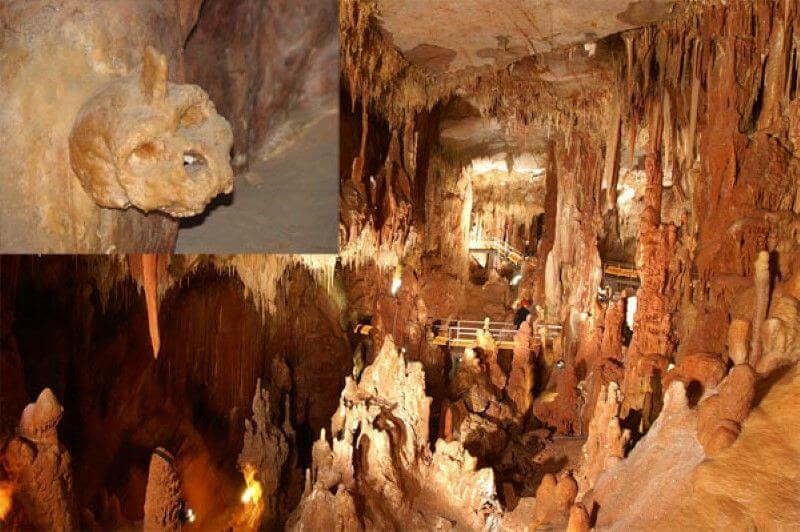 Further research in the cave discovered isolated teeth and two pre-human skeletons dating back 800,000 years, as well as other fossils of various species. Today, most academics who have analyzed the Petralona remains classify the hominid as Homo erectus. However, the Archanthropus of Petralona has also been classified as a Neanderthal (Homo sapiens neanderthalensis) and as an early generic class of Homo sapiens, which is in direct conflict with the Out of Africa theory of human evolution. Dr Poulianos’ findings contradiction conventional views regarding human evolution and his research was suppressed. Dr Poulianos and his wife were physically attacked and injured in their home in 2012 and the culprits were never been found. He and his team have been denied further access to the cave to complete their research and study, and the whereabouts of the skull is now unknown. Recently, Professor of the University of Cambridge sent a letter to the Ministry of Culture in Greece saying that the correct date of the skull is 700,000 years old and not 300,000. He has also challenged the government’s suppression of information regarding this incredible discovery.